Gary Hall is highly professional in every way. He did an outstanding job in formatting my manuscript to an e-pub format for both Amazon Kindle and Barnes & Noble Nook. I highly recommend Gary and look forward to working with him again in future business dealings. 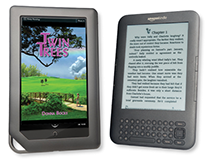 Most self-published authors introduce an ebook version of their manuscript along with, shortly after, or shortly before the release of their print books. 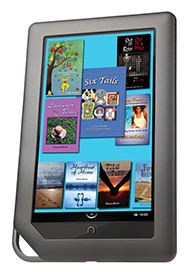 Ebooks are increasingly popular and in many cases exceed the sale of print books. Ebook readers are becoming a larger market share of those who buy books and should not be ignored. Your ebook will be formatted from a word file or PDF of the manuscript. (PDFs require extra conversion to a text file.) 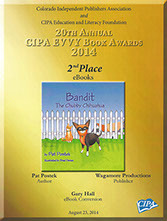 Your photos/illustrations may need to be collected into a separate file for insertion into the ebook. If Greystroke Creative has designed your print book most of what you need will already be collected. Authors and publishers are typically too busy writing and publishing books to become proficient in eBook creation and optimization. With so many formats and devices available, knowing what to do and how to do it becomes even harder. At Greystroke, we specialize in handling the eBook creation and design process for you so that you can focus on what you do best, while giving you the creative control you want from the eBook design process. You give us your files and explain what you want from the project. We will give you a quote on the development, as well as any considerations or recommendations we have about how to make your eBooks the best they can be. That’s it! Our development process is designed to be very client-friendly, and our Concourse project management system allows us to keep track of projects and communicate with you easily about the project.